Board to Death has another video review up. This one's for the card game Potion Making Practice. 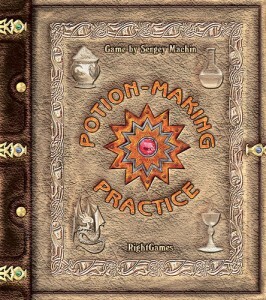 In the card game Potion-Making: Practice, players take on the roles of apprentice mages studying in a Magic School. Each player tries to gather the necessary components in order to produce magic elixirs, powders, talismans and even magical creatures. For each completed creation the player scores points – and the harder the task, the more points a player scores.